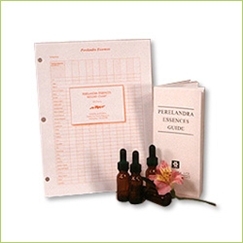 Blank Perelandra Essences Record Charts - Perelandra Ltd.
We recommend that records be kept of the essences that are used for specific problems. This essences record chart lists all of the Perelandra Essences and is a simple, easy way to keep track of a person's Essence testing history. The 3-hole punched sheets make the record charts easy to use andeasy to file! Blank Perelandra Essences Record Chart are also available to download and print at no charge. I use essences in my work. As a healthcare practitioner, I tried being stoic and keeping track of clients' essences on a regular sheet of paper. Then I got smart and made my life a whole lot easier... I bought these charts. They're perfect. Now, years down the road, I can look back and see what people took for which situations, and their results over time. It's a real learning tool, in that context.